At Core Elements our goal is to provide the best in client care and customer service. So what do we do different to be “Hands Above the Rest”? Our Mission is focus and listen to you! What and where do you need immediate care and with the skill of our dynamic therapists, we treat your prime areas of concern but also look and the body as a whole to resolve related issues. We are a clinic that has a centered and therapeutic approach. We take time to asses and listen each treatment which helps build a relationship and understanding with clients so you receive the highest level of care. Our team of 10 therapists is diverse so there is a perfect fit for everyone. We all work together as a team to resolve your concerns quickly and efficiently. With a team of therapists that have over 50+ years experience combined, you can put trust in our knowledge and skill. We continually strive to educate to a higher level with many cutting edge therapies that we then incorporate in our treatments when it is best suited for your needs and care. There is highly trained receptionist on at all times to help you with any questions, bookings and provide you with customer care before and after your treatment. Our modern clinic is professional, clean and spacious. Providing a confidential, warm and fun atmosphere. Orleans is our home and our focus. We participate in supporting our community through fundraising, the Orleans Chamber of Commerce and giving back to those in need. We do direct billing for RCMP and VA clients as well as we offer claim submissions to all major insurance companies to save you the headache of the paper work. Our convenient Online booking system is easy to use and allows us to be open to you 24/7! 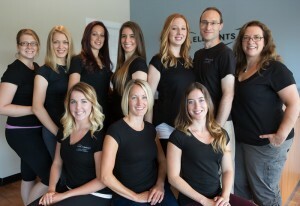 ~Core Elements Registered Massage Therapy group is professional, warm and friendly. The staff are knowledgeable and take each client’s needs into account. I feel I am in good hands. Thank you! ~I’ve recommended Core Elements to numerous friends and family members. Highly trained and skilled and a soothing environment. I’ve been seeing Adrienne for years, and she always gets to the root of my aches and pains.